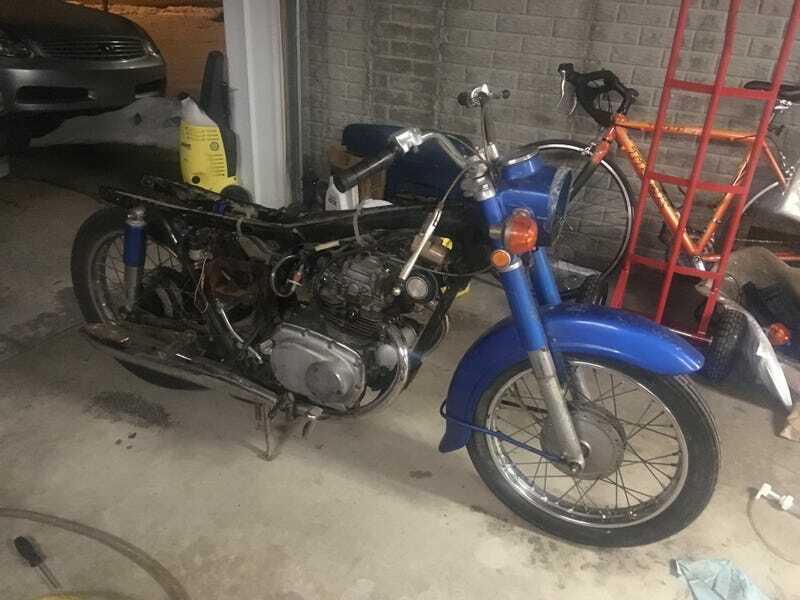 Dogapult Motorcycle Ownership, Part 3: It runs! Only have this one picture I took late in the evening, but it works! Discovered the rear axle wasn’t held on with adjusters like it’s supposed to be, but washers, and nuts and twine. so that’s all taken apart at the moment. Found a little hole in one exhaust pipe, but it’s not bad. It needs very little left to be driven, but a fair bit left to be complete. Tune in next time for me taking it up and down the street probably!